All aboard, and get ready to set sail on this delightful Giggi Sail Boat. 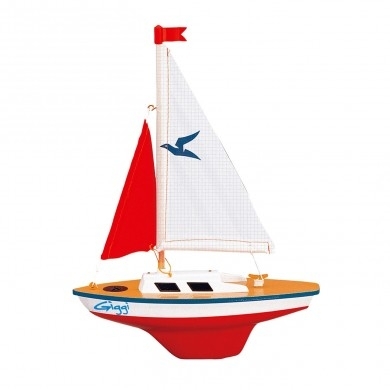 It's always a seaside or bathtime adventure with the Giggi Sail Boat. It's a high quality boat with adjustable main sail, that your child will love to play with while they're splashing around. 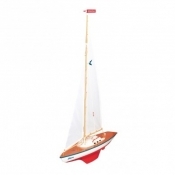 Its underwater hull coating makes it seaworthy, and the non-capsizing keel will keep it upright. 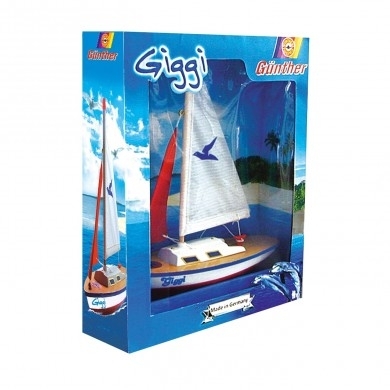 Best of all, its ready to sail straight out the pack, so splice the main brace and set a course - the Giggi Sail Boat is ready to set sail. 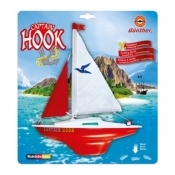 Underwater coating, seaworthy, non-capsizing and water resistant. Special 15% OFF for a limited period only. Sale Price: £13.22 You Save: £2.33 (15%)!